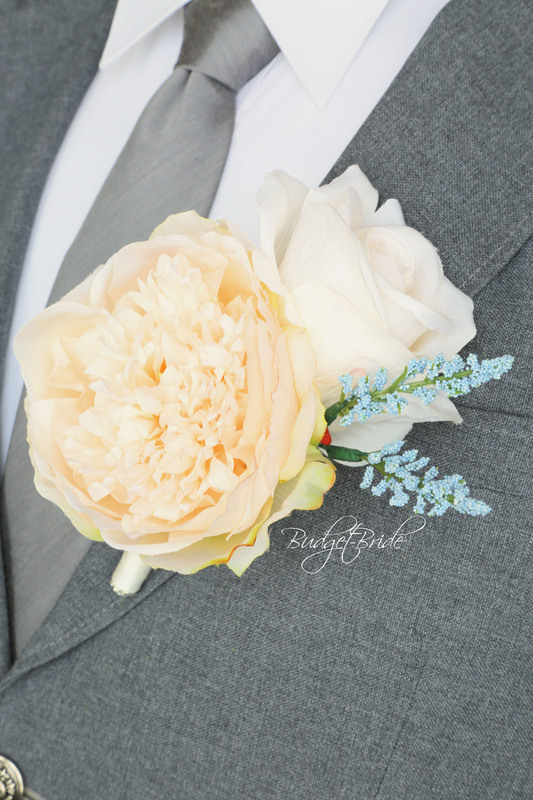 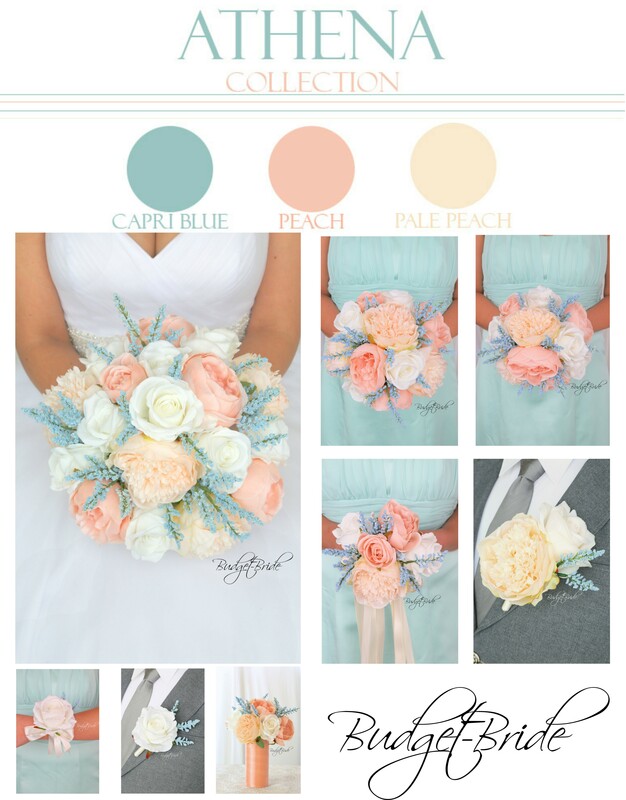 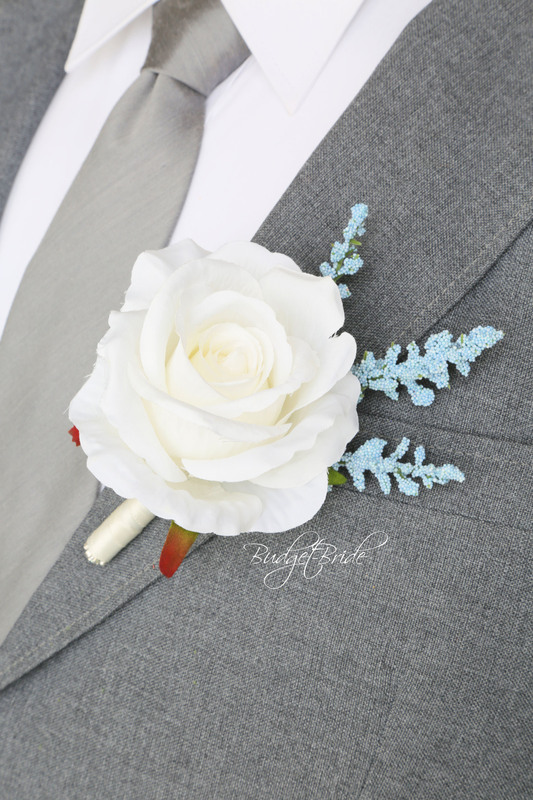 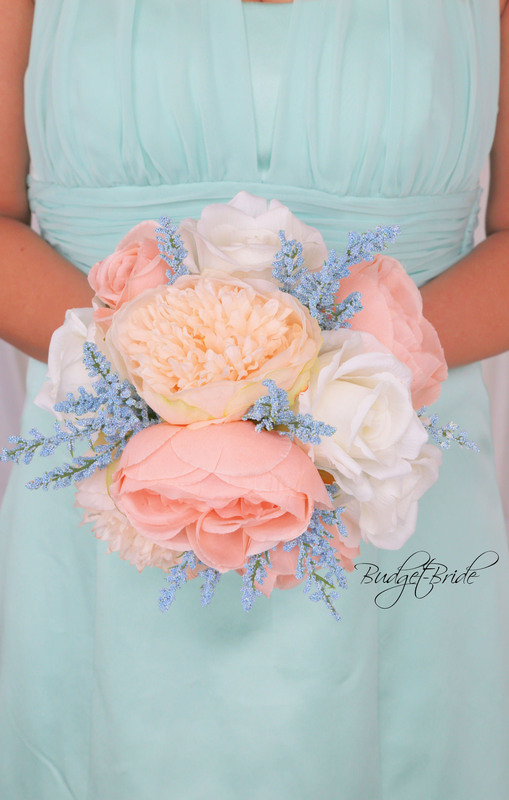 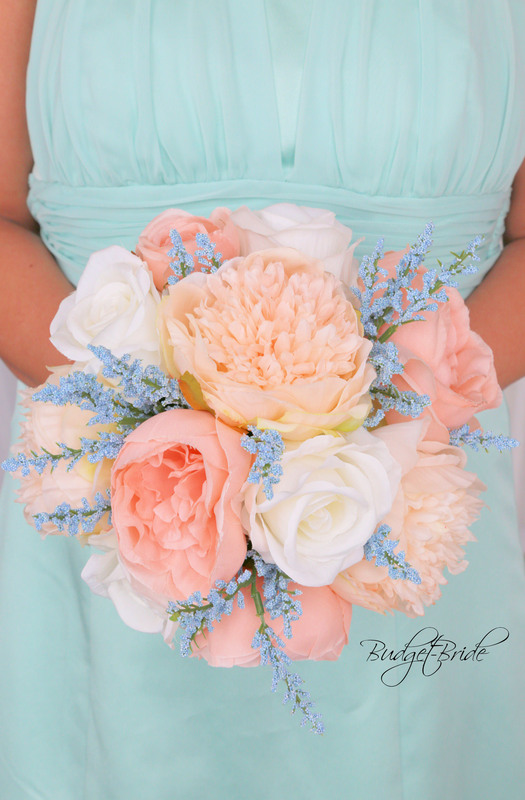 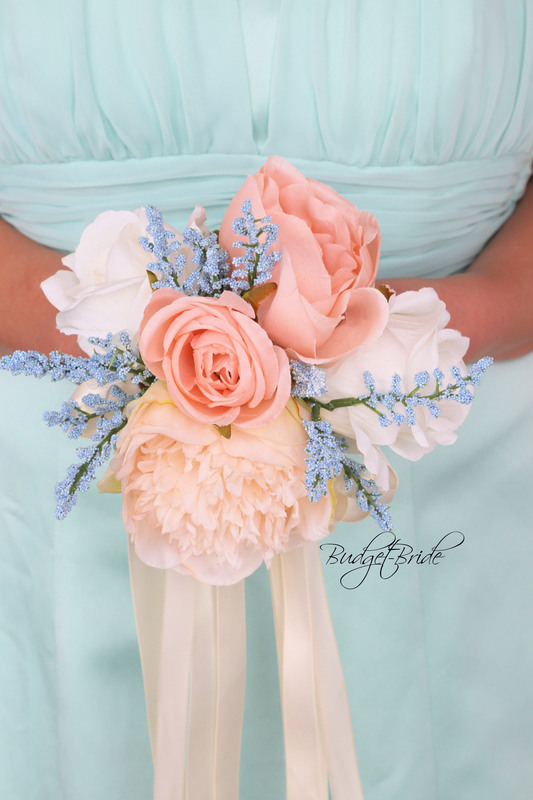 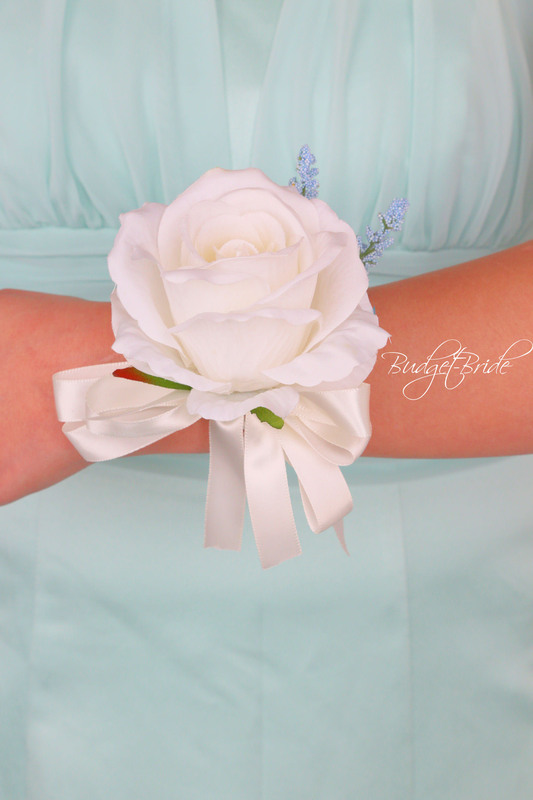 This matching bouquet is an 8 inch hand held bouquet with ivory roses, peach cabbage roses, light peach peonies, and accented with capri blue heather. 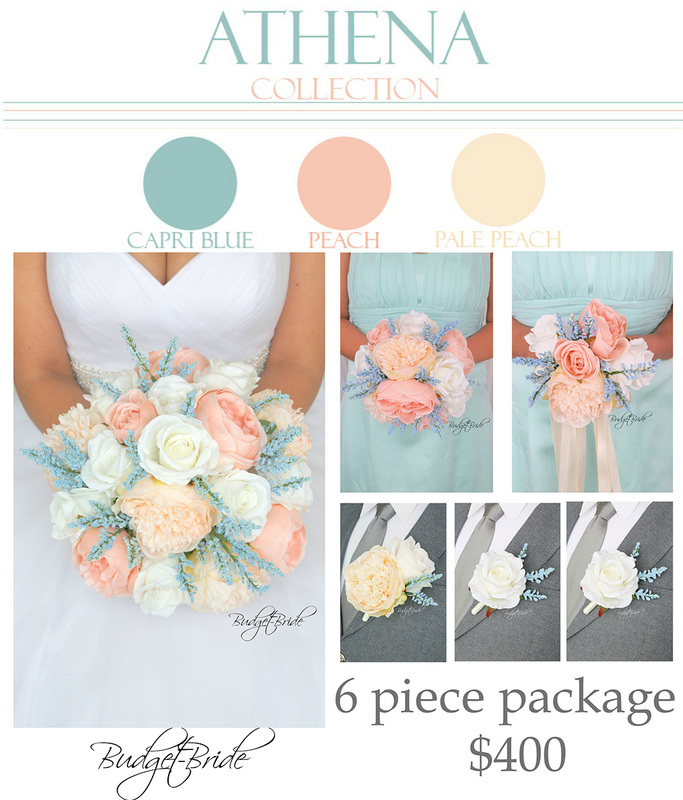 This matching bouquet is a 6 inch bouquet with ivory roses, peach cabbage roses, light peach peonies, and accented with capri blue heather. 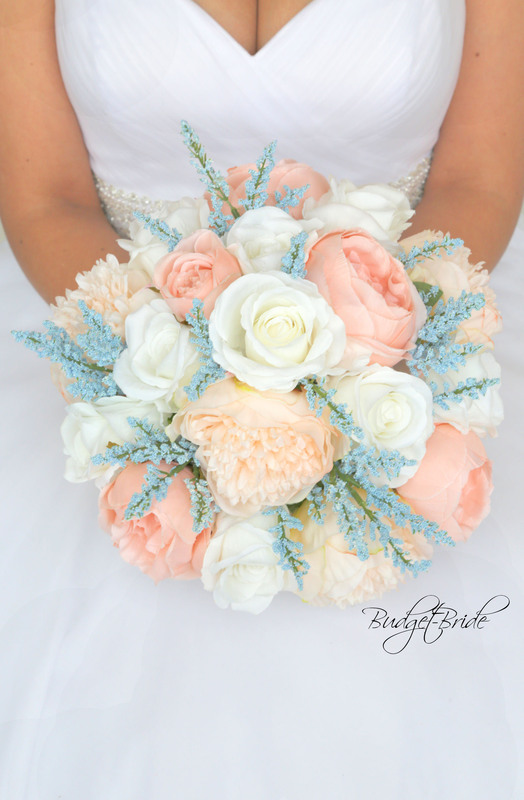 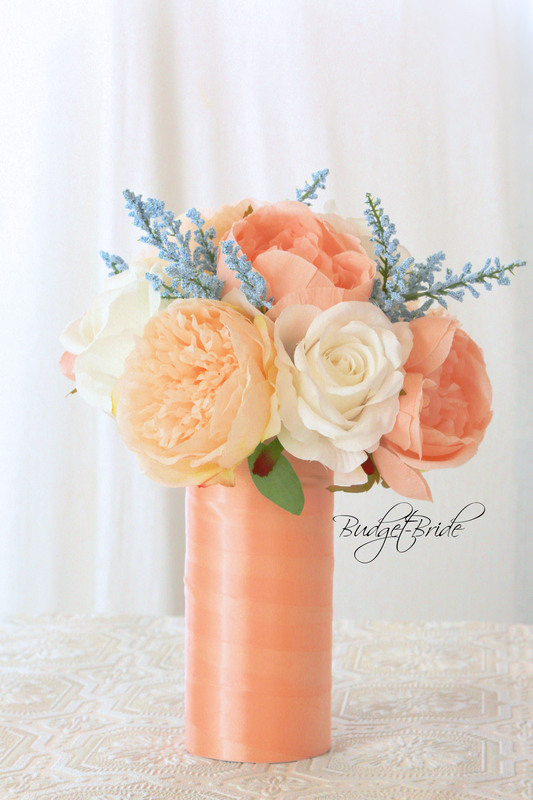 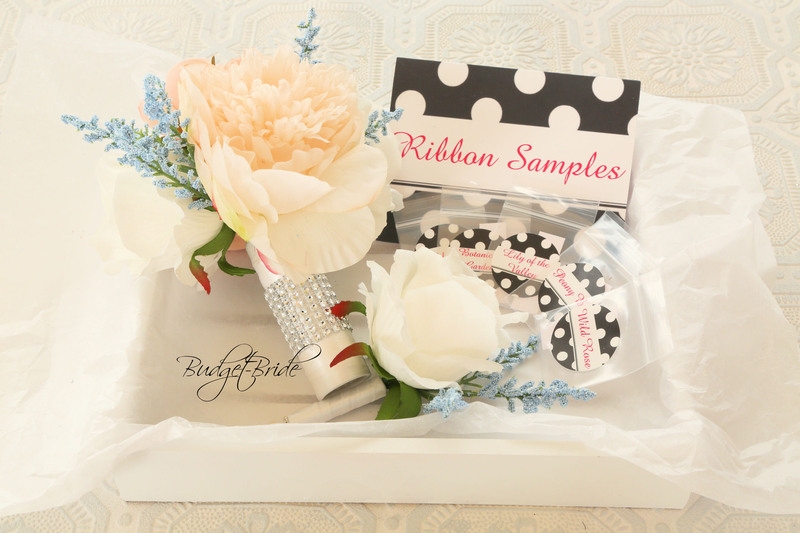 This matching bouquet is a 4 inch bouquet is made with ivory roses, peach cabbage roses, light peach peonies, and accented with capri blue heather.